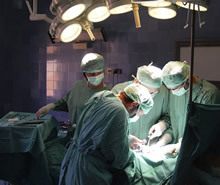 There are very few jobs available for overseas nurse’s in general surgical/medical roles in hospitals. There is not a significant shortage in these areas and newly graduated Australian nurses, and nurses from the UK, Ireland and New Zealand are preferred for these positions. There is a critical shortage of nurses in the specialist areas where experience and specialised training are essential requirements. An overseas nurse needs at least 7-10 years continuous experience in the specialist area applied for in a recognised leading Hospital in their home country. 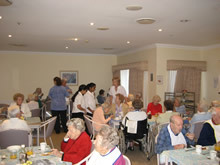 Aged care nursing is the fastest growing sector in Australia, and employs a large number of nurses. The demand for overseas nurses in this sector is high, and provides the greatest opportunity to succeed. We have placed nurses with only 6 months experience, and these nurses have been very successful. Agency nursing in Australia is focused primarily on short term assignments (1 day – 1 week). Nurses will undertake assignments in a variety of settings including hospitals and aged care homes. Facilities, equipment and patients, . To enter this sector at least 2- 5 years of nursing experience will be required.